As I have mentioned previously, vaccines are one the greatest medical advances God has allowed us to discover. They work by “pumping” your immune system so that it is ready to repel a pathogen (like a virus or bacterium) before you are infected. That way, your immune system doesn’t have to figure out how to fight the pathogen. It already knows what to do, and that gives it a head start, making your body much less likely to succomb to the disease. Of course, the best way to prevent infectious disease is to prevent the infection to begin with. We try to do that with good sanitary practices, but they can only go so far. Regardless of how well we clean our surroundings, pathogens still manage to infect our bodies. In fact, some research is now indicating that we might be a bit too sanitary for our own good. Some medical researchers take the lesson from the history of polio a step further. They believe in the hygiene hypothesis, which suggests that if a child grows up in an environment that is too clean, he or she will be more likely to contract a host of diseases later on in life, because the child’s immune system was not challenged enough early in life. While the data are not clear enough to determine whether or not the hygiene hypothesis is reasonable, there are some interesting studies that lend support to it. In a very interesting series of experiments, researchers in Australia have been studying the Aedes aegypti mosquito, which carries the virus that causes dengue. If a person is bitten by a mosquito that carries the virus, they can succomb to dengue, which causes horrific joint and muscle pain. While it is a problem in some areas of Australia, it is more prevalent in countries like Vietnam and Thailand. There is currently no effective vaccine that can be used on people, so the only way to stop the spread is to reduce the prevalence of the mosquito, which is a very difficult task. 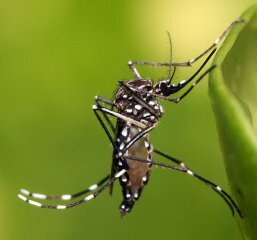 Starting this month, the researchers will begin infecting wild Aedes aegypti mosquitoes in Australia with the bacterium. They hope that it will spread as rapidly in the real world as it does in the lab. If so, the mosquitoes will rapidly become resistant to the virus that causes dengue. That means they will be much less likely to carry the virus, which means they will be much less likely to transmit the virus to people. So in essence, the researchers hope to “vaccinate” a huge population of mosquitoes against a virus. This will, hopefully, reduce the number of mosquitoes that get infected by the virus, which will in turn reduce the number of humans that get infected by the virus. That’s cool – fighting infection in humans by “vaccinating” mosquitoes. Of course, the real question is, “How will the mosquitoes deal with the rapid rise in autism due to this vaccination program?” I am sure the International Medical Council on Vaccination will get right on that! 1. Hileman, B., “Risk Assessment in Medical Innovation,” Chemical and Engineering News, May 5, 2003:29-34. 2. M Enserink, “Australia to Test ‘Mosquito Vaccine’ Against Human Disease,” Science, 330:1460-1461, 2010. My understanding is that auto-immune conditions such as lupus are not found in areas with lower levels of sanitation. That’s also an interesting connection! I don’t know a lot about the research on autoimmune diseases. However, according to this report, lupus “is known to occur in all populations across the globe.” I haven’t seen a study that specifically shows that unsanitary countries have lower lupus rates, and I would think it might be a hard study to do. After all, when infectious diseases are killing people left and right in unsanitary countries, it is not clear whether you could really notice the real prevalence of autoimmune diseases. Reminds me a little of some of the research with parasitic worms and irritable bowel disease. Some hypothesize that the worms release their own chemicals to control inflammation in the bowels to make their environment nicer for them, but it helps keep flare ups from occurring. The first things I read on it were weird. Like how on earth can you know that there are lower rates of ulcerative colitis in Africa than here? The health care systems just aren’t comparable. But apparently there have been some studies that seem to suggest that infecting one with certain worms can control the disease with fewer side effects than the steroid treatments currently used. Thanks for your comment Dana. A while ago, I ran across the transcript of a talk by Linda Mansfield, a medical researcher at Michigan State University. The National Institutes of health have given her a grant to study that very thing. She seems to think there is real promise there. I haven’t kept up on the specific literature, however, so I don’t really know how her work is progressing. Thank YOU for your incredible blog post. I think you are teaching many of us how a Christian ought to grieve. This blog post reminded me of a book called Caves Of Steel by Asimov. I don’t know if you’ve read it or not, but in it there are two basic factions of humans: Earthers and Spacers. In the novel, the Spacers are descendants of the people of Earth and when they had emigrated from Earth they took only a mere fraction of the diseases of Earth along with them, so they focused upon eradicating all of the diseases they had with them. However, when dealing with the comparatively unsanitary people of Earth they had to wear gloves and keep filters in their noses because even the least harmful diseases to Earthers were extremely lethal to Spacers. I have read some Asimov (several of the Foundation novels and Nemesis), but never that one. He was a biochemist, so it doesn’t surprise me that he would come up with an idea along those lines. Is it a book you would strongly recommend? It’s one of my favorites, but I’d still give a few caveats. One of the primary caveats would be that Asimov spent a little too much time giving his opinions about the Bible while discussing the pretense of the contrived names of the main character (Elijah Bailey) and his wife (Jezebel). Other than that, the rest of the story is pretty good. It kind of ends with a whimper though. I wouldn’t say I’d strongly recommend it, but aside from Asimov’s unnecessary commentary about the Bible in a section and how the ending didn’t quite fit with the rest of the tone of the story I would say that it is otherwise a good read. Thanks Ben, I’ll have to read it. I have never been bothered by Asimov’s atheism. He doesn’t defend it well. Oh, I hope this works! We live in dengue-infested Brazil where every year hundreds die of the more serious hemorrhagic dengue. If they could get this mosquito vaccine distributed to third world countries quickly and without too much bureaucracy, it would save many lives! Thanks for your comment, Linda. I absolutely agree. Unfortunately, there most likely will be anti-science groups (like the International Medical Council on Vaccination) who will oppose this life-saving endeavor. Does the Dengue actually impair the mosquito’s chances of survival? i.e. will they tend to spread according to survival of the fittest? Not as far as can be determined, Josiah. The virus does proliferate in the mosquito, but research so far indicates it causes no serious harm to the mosquito. The plan doesn’t require natural selection in order to work. It requires a large-scale infection, because the way the bacterium proliferates, once it infects a female, it will infect all her offspring. Thus, if you can infect a large percentage of the population, you will end up infecting a large percentage of all future mosquitoes. One thing to keep in mind is that you do not have to completely eradicate the vector of a virus to eradicate the virus. The virus counts on large numbers to survive multiple generations. In order for the virus to continue, there must be enough susceptible mosquitoes to infect people and then bite infected people. If you can just reduce the number of susceptible mosquitoes to a small enough percentage, then the virus cannot survive, because the chance of a susceptible mosquito biting an infected human and then biting another uninfected human once the virus is ready inside the mosquito becomes ridiculously small. 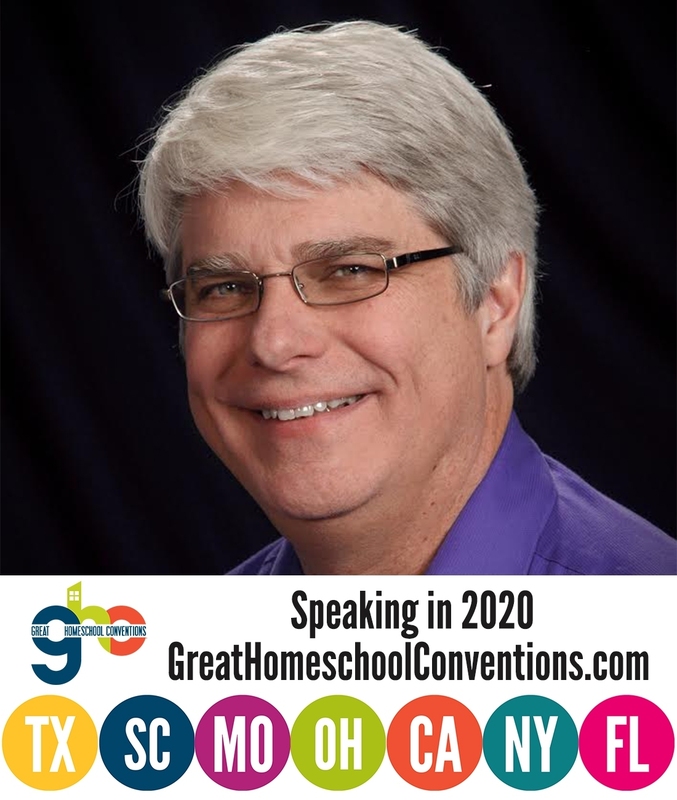 Discriminating Homeschoolers Lead to Excellent Curriculum Oh No! He’s Wrong Again!